Testimonials — CRISFORD & CO.
"My husband and I can't say enough about the incredible value that Deb and her team add. From the start when our daughter was three months old our nanny, Natalie, fit perfectly into our family, giving us a sense of absolute confidence and comfort. Over the last five years Natalie has been more than babysitter, she has been a big sister, best buddy, teacher and travel companion. We love her so much we made her Gemma's godmother! To us, she is the standard that Crisford and Co. seek for all their clients." "When I moved to New York a year ago, I used 2 different agencies to help find a nanny position. After a few weeks without any luck, I met Deb! As soon as I shook her hand, I felt like I had known her for years. She is so kind, friendly, professional, smart, and excited about what she does. I felt like she wanted to truly get to know me, so she could place me with the right family. She did just that. Within a week of knowing Deb, I was hired by the most outstanding family. Till this day, Deb still calls to check in simply because she cares about the people she works with. If there is any confusion or misunderstanding between a family and a nanny, Deb is always available and works things out so that both parties are happy. I feel beyond blessed to have met her and for anyone that mentions needing help, Deb will always be my first recommendation. Cannot say enough positive things about her!" Thank you, Deb!! You are adored." If my five year old daughter, Angie, could write a testimonial, she would tell you her favorite person in the world is Syl, her nanny of three years. My husband and I absolutely agree. Syl came into our lives and was so much more than a nanny. She was my right hand person and my child's mentor. Someone I trusted implicitly not only with my children (we had two more after Angie), but with every detail of our household. She was my sous chef, my banker, my assistant and for all of us, a dear trusted friend. Now that Syl if off at grad school, she is still a big part of our lives. She is our chosen family. So you may think we got really lucky with Syl. But then Deb found us Kelsey, and we struck gold again. Kelsey also fits our family like a glove. She's nothing at all like Syl - but still exactly right for us today. These two perfect nannies have one thing in common: Deb Crisford. Deb takes her time getting to know a family, has a well thought out process, and a golden gut: The secret sauce for getting it exactly right with her placement. "I used Deb Crisford in a desperate search for a nanny for my two children 3 & 7. I was on my way out of the country for ten days and knew I needed someone to start soon after my return. Deb came and met with my family and we explained our very specific needs. Deb was amazing. She was very thorough with her questions and attentive to our answers. Soon we met with several candidates, all with great qualifications. We hired Carly, the first person sent to us, and she has been amazing. Deb found the perfect fit for our family. We are happy, the kids are happy and Carly is happy." It is more than a working relationship just as being a nanny is more than childcare. From the very beginning Deb seemed to get me, really taking the time to learn my strengths and weaknesses and matching me with the perfect family. Even the extended family and I have a solid relationship and I happily stayed with them when my family was out of town. They called me Mary Poppins and have said that they had no idea that people like me even existed. That speaks volumes for Deb's match-making skills. We are perfect for each other. After I had interviewed and went on a few trials with other families from other agencies, I must say honestly none were as great as the fit Deb found for me. Deb was available every step of my decision process, so helpful in the end when I was deciding between positions. Our conversations never felt like a sales pitch for the family as other agencies did. Hiring for and coming on as a second Nanny of a family that will step in to be the full time nanny is a challenge but I don’t think the part time nanny or I could be any happier. I really and truly am grateful every day for the position I have. Deb made the search for my nannies completely stress-free. She was attentive, intuitive, and completely understood the level of import this position held for our family. Her system for pre-screening is priceless. She sent the best candidates that I have ever met - all head and shoulders above anyone I had ever met from other agencies. She placed two nannies for me - one who has been with me almost two years and I could not have asked for a better fit for my family. 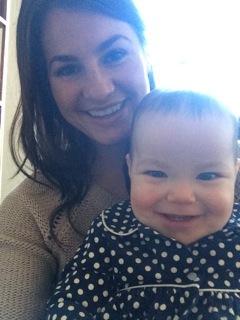 She is warm, professional, smart, funny...friends actually comment on what a great fit this nanny is for me! Deb's nannies were way beyond anything I could have ever expected. I hired Deb to help us find a new nanny for our six year old daughter during a difficult transition time -- my partner and I had just gotten divorced, and our old babysitter had decided to start a new career. As busy professionals with demanding schedules and a changing family situation, we had a long "wish list" for our next nanny. Deb was incredibly thoughtful about the process and after an exhaustive search, found Lisa for us, who was everything we wanted in a nanny and more. Lisa worked for years as a preschool teacher and is now getting her graduate degree in theater studies. She's incredibly responsible, loving, creative, and everyone in our family adores her, especially our daughter. We couldn't have asked for a better result and are so grateful to Deb for making the match.